We have a range of LED profiles from 120W (equivalent to 500/750 halogen) to 190w (750/1000w). 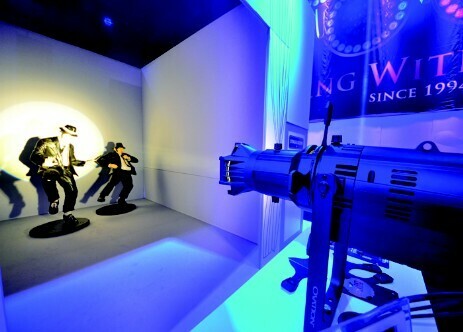 All featuring full DMX control, adjustable shutters, adjustable zoom (dependant on model and lens), Gobo holders, gel holder. Everything you would expect from a profile but without the hassle of heat and power consumtion. 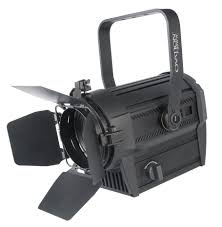 These Fresnels are compact, robust and easy to use general purpose stage lighting fixtures ideal for small stages, studios and display lighting applications. These fixtures provide a superb light output and benefit from temperature controlled fan cooling for whisper quiet operation. The 4 push button display allows users to select DMX and manual dimming modes along with dimming curves.